News in brief from the NFC world and beyond: MasterCard wins Oyster deal • PayPal nears 100m accounts • Proxama buys Hypertag • Palm tablets to include NFC? • Contactless grows in the UK • NTT Docomo, KT and China Mobile tie up. 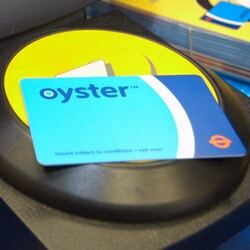 MASTERCARD WINS OYSTER DEAL: MasterCard is to put its branding on the plastic wallets issued with Transport for London‘s Oyster card, ahead of a planned migration to NFC-compatible contactless card acceptance on the London Underground and the city’s buses. The multi-million pound deal will see MasterCard branding appear on London Underground turnstiles as well as on six million wallets during 2011. PAYPAL NEARS 100M ACCOUNTS: PayPal ended the fourth quarter of 2010 with 94.4 million active registered accounts, adding approximately one million active accounts per month, according to parent company eBay‘s latest figures. PayPal’s net total payment volume was US$26.9 billion in the fourth quarter and nearly half of revenues were generated outside the United States. Mobile payment volume was five times higher in 2010 than 2009 and “exceeded expectations”. PROXAMA BUYS HYPERTAG: UK NFC specialist Proxama has acquired proximity marketing specialist Hypertag, whose clients include Nokia, Ford, O2 and BP. “With the growth of mobile uptake, NFC usage and the switching of advertising revenues away from traditional media we are perfectly placed to exploit the demand for ‘hyper-local’ marketing communications,” says Proxama CEO Neil Garner. PALM TABLETS TO INCLUDE NFC? A speculative article in consumer tech blog Engadget suggests that Palm‘s forthcoming tablets will include a ‘Tap-to-Share’ functionality that lets users easily transfer a website, document, or song from the phone to the tablet (or vice versa) simply by tapping the two devices together. CONTACTLESS GROWS IN UK: The move to contactless acceptance continues to gather pace in the UK. McDonald’s has announced that it will equip all its UK outlets to accept contactless cards by the middle of 2011 while MBNA has revealed it is to issue contactless cards to all its six million cardholders by the end of this year.